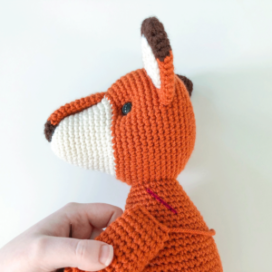 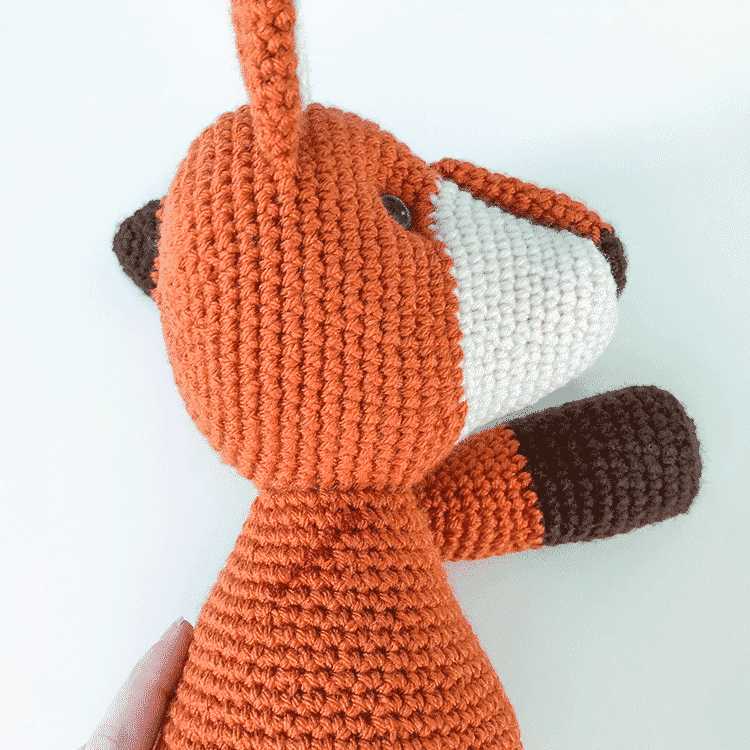 In this tutorial I will show you how to attach arms to a body when assembling an amigurumi animal using an invisible ink marker. 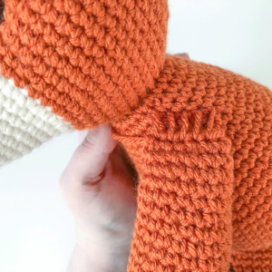 Note: This tutorial assumes that your arms have already been stuffed and have been slip stitch closed. 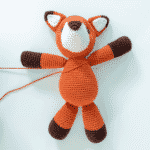 Step 1 – Starting 1 round down, draw a horizontal line spanning 5 stitches on each side of the body. Step 2 – Before attaching each arm, make sure the start of the spiral on the bottom of the arm (the beginning of round 5 on the arms, done in BLO) is facing down. 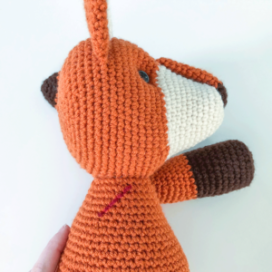 This will ensure they're not visible when your animal is facing forward. 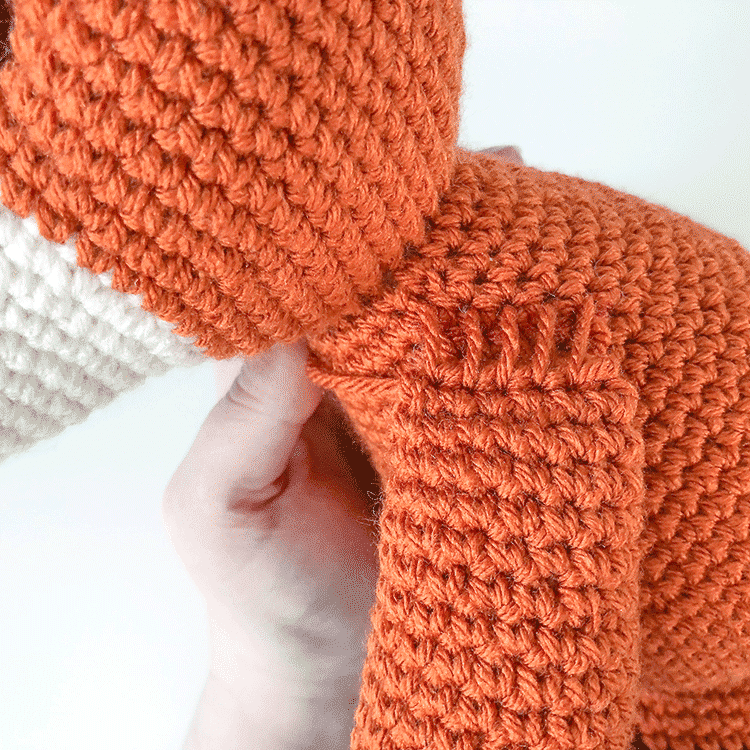 Step 3 – Using a yarn needle and the yarn tail on the top of each arm, attach the arms to the body in each of the marked stitches. 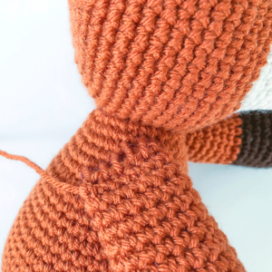 Step 4 – Secure each last stitch with a knot. Use your yarn needle to hide the tails inside your work, then exit the needle elsewhere on the work, pull the yarn tail taut, and snip it right against the body (the tail should disappear inside the body).